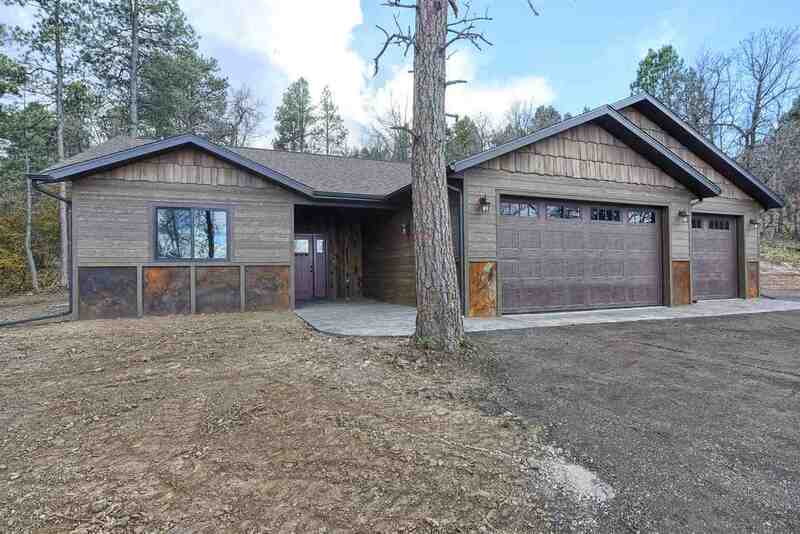 For more information, please contact Heath Gran 605-209-2052 with Great Peaks Realty or Jason Richards 605-381-1087 with The Real Estate Center of Spearfish. Living is easy in this impressive one-level zero entry, 3 bedroom 2 bath home. Nestled in the pines with a 3-car garage! Inside will welcome you with a sleek open floor plan and gourmet kitchen with pantry and bar that overlooks the dining and living room lightened with a gas log fireplace and a walkout to the covered, private back patio. The master bedroom ensuite is the ultimate retreat with a walk-in shower, walk-in closet and dual sinks. Other bonuses of the home include impact resistance shingles, and a maintenance free exterior! This location is a must see! Call today to tour this gorgeous home in Whitewood Forest Acres!